When I go to the gym, and I warm up, generally I use a rower. I like that it involves using my legs, back and arms. You get a decent core workout too. I just use it for a quick warm up, but that doesn’t mean that you can’t get more out of it. Now, the rowers you typically find in the gym are pretty pricey and I doubt most people are willing to shell out $ 1000 and more for a rower to use at home. Today I will introduce a cheap quality rower. It’s nothing fancy, but will get the job done. Basically a good quality rower with a low price tag. This particular rower I haven’t used myself, but I will provide you with information based on my research of the product and what other users thought. So without further adieu, I introduce the Stamina Air Rower 1399 (Black, Chrome) . The Good The Stamina Air Rower 1399 (Black, Chrome) is an adjustable air rower that increases resistance as intensity increases. It is easy to fold and store and has a sturdy construction that will give several years of use. 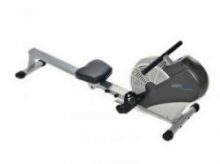 This is a simple rower at a very affordable price and won’t break your bank. The not so good The one complaint that keeps coming up is that it is not adjustable. Sure, there is no button to press or knob to turn, to increase resistance, however resistance automatically increases, as intensity of rowing increases. It is a little noisier than the high end units, but for the price, it’s not that bad. It also does not come with any pre-programmed workouts. 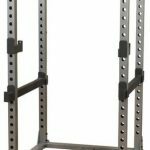 If you’re on the larger side, you’re out of luck, as it only supports up to 250 lbs. Final thoughts The Stamina Air Rower 1399 (Black, Chrome) is a no frills rower that will give years of service, with a very low price tag. It’s not the noisiest nor the quietest of rowers. 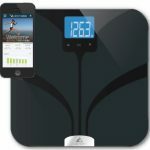 No pre-programmed workouts here and the monitor gives the basics (speed, time and calories burned). Some people like to get a pulse readout while they exercise, but this is not a fancy rower, so don’t look for those frilly features. If you want a decent workout and not have to break your bank, then this rower is for you. Wow, good review on the stamina air rower. I have been using rowing consistently in most of my workout and it really does a good job getting you in the zone especially at the beginning of a workout. I never though of getting a rower at home mainly because of how much they cost but this one is definitely affordable. I will surely keep this one in mind for my next fitness purchase. Thanks, Keep coming back for more reviews. Very helpful review! I love how you keep the information clear and concise. Nothing is worse than reading a review for a thousand years and get nothing out of it. 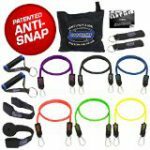 This looks like a great affordable christmas gift to get my husband for our home gym! Real gym goers don’t need frills anyway. Frills don’t burn calories or build muscle. Thanks for the great review Dave! No problem. If you decide to buy it for your husband, I’d appreciate it, if you used the link on the website. 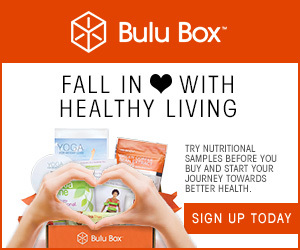 Keep coming back for more reviews and interesting health articles.